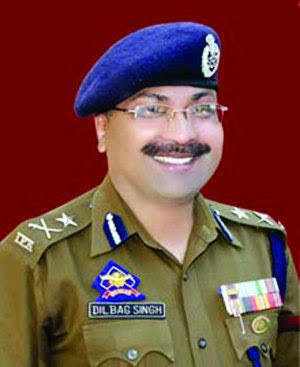 Jammu: Asserting that there was “no signs of decline” in militancy, Director General of Jammu and Kashmir Police Dilbagh Singh Monday said the forces were determined to restore peace in the state. The statement comes days after 49 Central Reserve Police Force (CRPF) personnel died in an attack by Jaish-e-Mohammed (JeM) in southern Kashmir. “Pakistan-sponsored militancy is going on for the last many years and showing no signs of decline but we are determined to eliminate militancy from the state and restore peace in the region,” Singh told reporters after the wreath laying ceremony of Deputy Superintendent of Police, Aman Kumar Thakur. J&K Governor Satya Pal Malik, Union minister Jitendra Singh, advisors to the Governor and senior officers of the police, Army, CRPF and civil administration attended the ceremony at police lines here and paid floral tributes to Thakur whose body was flown from Srinagar to Jammu in the morning. “JeM, Lashkar-e-Toiba (LeT) and some other groups are continuing with their activities in Kashmir,” the DGP said. “Police and other security forces are conducting their operations to counter them and wipe them out and I am hopeful that in the coming months, the situation will improve further,” he added. Singh further said the security forces were “proud of the sacrifices” made by the jawans and were “determined” to eliminate all the active groups in the state “in the coming months”. The security situation in the state is “well under control” and there is “no need to panic”, he stressed.